It’s hard to believe it’s been 20 years since Mamma Melina made its Seattle debut. 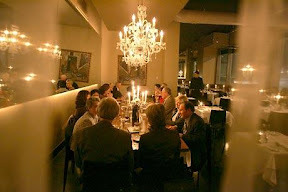 Back then, it was the hot new restaurant on Roosevelt, named for mamma Melina Varchetta, the place my friends and I would go for pasta and vino before or after a movie at the Seven Gables, a meal that readily recalled the family-owned Southern Italian restaurants of my Philadelphia childhood. And if, while we were there twirling our linguine, papa Pasquale would raise his voice in operatic song, well, that’s Italian, si? But time flies when you’re having sons. 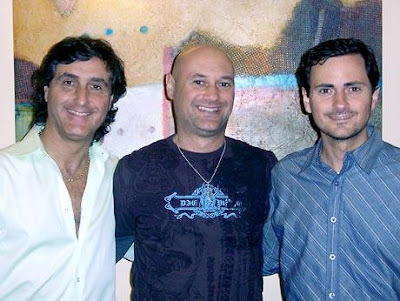 From left, Mamma’s boys: Salvio, Leo and Roberto Varchetta. Today, mamma and papa are enjoying retirement in the Italian coastal city of Formia. And with their 20-year lease up on Roosevelt, their sons, the peripatetic Varchetta brothers — owners of downtown’s elegant Barolo and Belltown’s cocktail-cultured List — have moved their family flagship a short drive east: to the Corydon complex near University Village. I happened to be driving by late Tuesday when I spied a pre-opening-night crowd celebrating that transition. Raining on their parade: Mamma Melina Ristorante + Pizzeria, in the Corydon Building at 5101 25th Avenue Northeast near University Village. “When we first started Mamma Melina,” recalls Leo, who shuttered the original after service on Saturday, “I’d been here from Italy five months and didn’t speak English. People would call for a reservation and I’d say, `No speak English’ and then they’d come anyway, because they thought it would be really authentic.” In today’s high-tech world, customers can now reserve live-time via the Web. Of course, there’s always the old-fashioned way (206-632-2271). And when patrons arrive at the new Mamma’s today, instead of Old World charm, they’ll find the kind of interior design that’s become a Varchetta signature (white linen, marble-topped bar, flattering lighting, ornate chandeliers). In keeping with the modern Seattle-restaurant theme, patrons will also find a menu that takes best advantage of seasonal offerings, pastas made in-house, a very visible wood-burning oven, private-dining options and a retractable wall that opens onto patio seating adjacent to the Burke-Gilman Trail. Last night’s dinner — the brothers’ first — was “packed to the bone,” according to Leo. “Everything was flying everywhere. It was a lot of fun. It was amazing.” As I write, the first lunch-service has begun. So, what are you waiting for?